Alam Sutera Residence is a community located in Bukit Jalil which stretches for about two kilometres long, with about 110 houses within the area and approximately 15 streets. Being such a huge neighbourhood in that section, the aspect of security remains one of the major concerns for the residents in Alam Sutera. 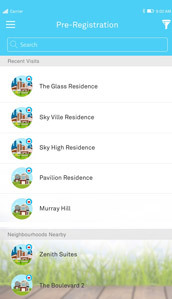 Recently, the neighbourhood has deployed TimeTec Patrol, cloud-based guard tour solution as a replacement for the costly and ineffective system they used previously for their security guards. 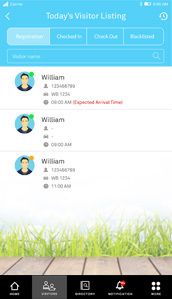 From the positive experience gained, Alam Sutera looked into i-Neighbour to cater to the visitor management system of the entire neighbourhood and to increase the security level for the benefit of the community with its modern solution and application. 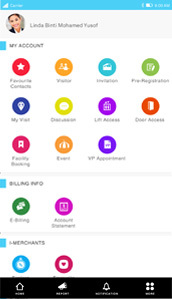 The cloud-based nature of i-Neighbour makes the deployment of this solution a breeze into Alam Sutera Residential. 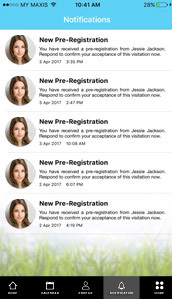 Preregistration of visitors can be done through i-Neighbour application and the details are linked to the guardhouse for security check when the visitors arrive, plus the system also provides convenience to frequent visitors by auto-filling their previously entered information in order to hasten the registration process. 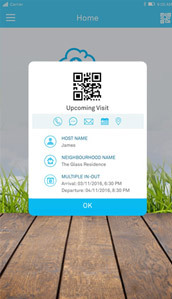 i-Neighbour system also takes care of various aspect of urban residential such as facility booking, announcements, reporting, organizing events, documentations, and many more to expedite process and be an efficient community. 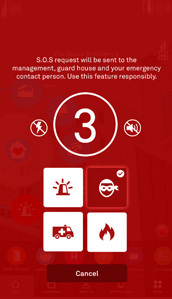 On security aspect, i-Neighbour tackles it with the Panic Button feature that allows residents to communicate in real time with security guards during an emergency, and an array of IoT (Internet of Things) options to be linked to i-Neighbour that could greatly assist in boosting the neighbourhood’s security like Smart Barrier, Smart Lift, Smart Lock and more. 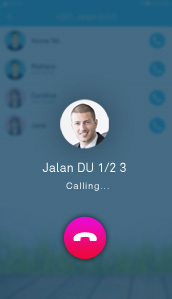 Deployment of i-Neighbour at Alam Sutera provides each resident with an access to information, security and convenience directly from a smartphone, and all communications are recorded safely for future references. 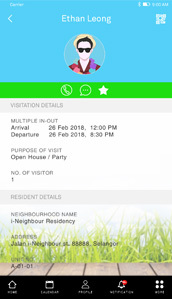 According to Mr. Sampat, Security Supervisor of Alam Sutera Residence, “i-Neighbour has helped us cut down the long queue of visitor registration. 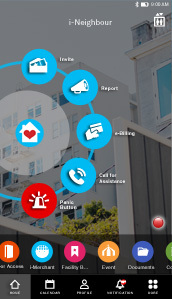 We’re able to monitor our visitors, and strengthen our security with the help of the Panic Button”.